Will they, won't they? Zune phone after all? 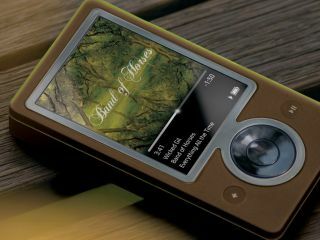 WIll the Zune ever really become a phone? Sure, we told you recently that Microsoft is definitely not working on a Zune phone, but just remember what they say about messengers and shooting them, ok? We're just happy to hear that something really does appear to be afoot chez MS. The latest speculation is based on Microsoft adverts seeking staff for their surprisingly large Zune team. Among them are spots for Musiwave-familiar developers that suggest integration with some phones at the very least. Musiwave, in case it slipped your mind, was a French mobile content specialist MS bought up last year. Putting two and two together now seems just a matter of time. On slightly more solid ground perhaps, we also see the Zune labs are after developers to work on both Zune and Xbox interfaces, leading to the conclusion that Xbox Live and the Zune Marketplace will soon become one. Right now, the smart money's on Zune becoming a larger part of the push to position the Xbox brand as an entertainment hub, while we bet Windows Mobile phones end up gaining some Zune elements before long.